Octave Distribution proudly supplies houses of worship, event companies, musicians, schools, conference centres, corporates and individuals with top quality audio equipment. Octave Distribution stocks and supplies the highest quality pro-end audio equipment perfect for any event or show. 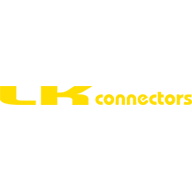 We are distributors of Dynacord, ARX and Link Italy, as well as Eurocable, LK Connectors and DGLink equipment.